It's summer, it's hot and I shall welcome any excuse to tie my hair into a braid. 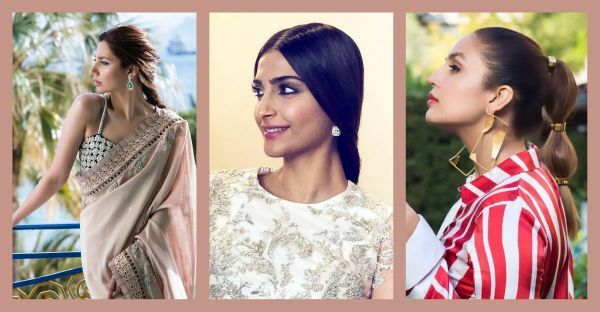 So I was really happy to see three leading ladies of cinema: Sonam Kapoor, Mahira Khan and Huma Qureshi braid their hair in three different ways at Cannes Film Festival 2018. Let's get braiding shall we? After breaking all records of being #EverydayPhenomenal, the newlywed actress arrived at Cannes without hubby Anand Ahuja and went straight to work. While she wore a couture number by Ralph & Russo (she's worn them before), she added a dash of ethnic by amping up a regular three-strand braid with this hair accessory from Amrapali. I'm seriously going to try this look for one of my wedding functions. In case you're looking for bridal hair accessories, click here. 2. Mahira Khan Shows Us How To Keep The Attention On Her Blouse With A 'Khajoor Waali Choti'. 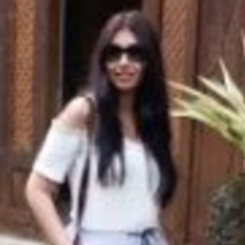 Pakistan's leading actor who has also been in the news for her relationship with Ranbir Kapoor and her film Raaes, seems to be having a great time in Cannes. While I'm a big fan of her minimal makeup, I found this look to be particularly riveting. A great way to show off her cross backed blouse, the fishtail braid was a great twist to her romantic look. Plus, it lets those danglers shine too. 3. Huma Qureshi Asks Us To Go Boho. And We Agree. Huma Qureshi has been having a few fabulous hair and makeup days (she has her makeup artist to thank for that) but the bubble braid stood out in particular. Her bubble braid, along with a dash of gold made us go gaga over her candy stripes too. Have a luncheon coming up? Might I say, try a bubble braid and a jumpsuit and set your Instagram ablaze!